Now that Christmas and New Years are over, routines are starting to return to normal. The stress, heavy eating and late nights puts a toll on the body’s ability to function properly. 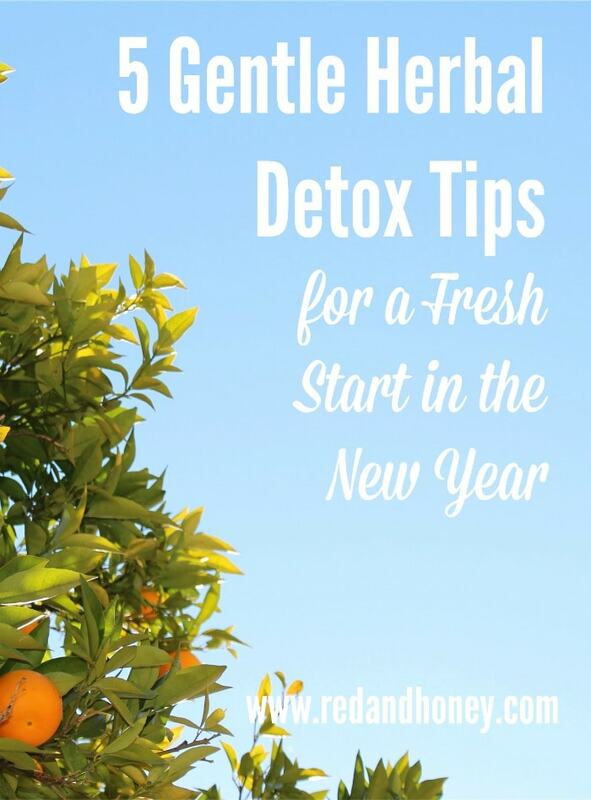 With the start of a new year, this is the perfect time to clean house with a detox. Acne, liver or age spots, fatigue, aches and pains are all signs that your body is battling a toxic build up. 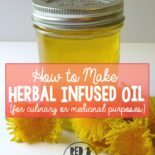 Herbalist Rosemary Gladstar also points to PMS, menstrual related conditions and erratic mood swings to a poorly functioning liver. Skin conditions like acne and age spots are signs of a liver that’s too overloaded to filter. Chronic illness, swollen glands like tonsils and fevers are signs the lymphatic system needs cleansed. 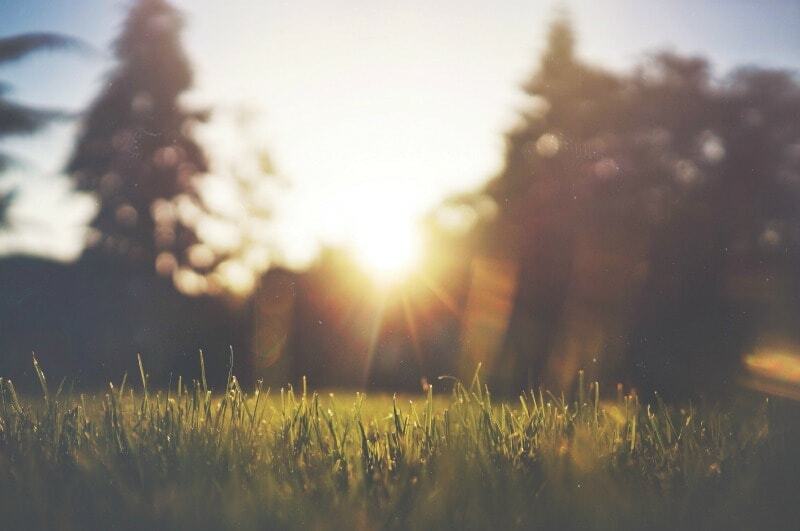 Even if you feel healthy right now, toxins from our air, food and environments shouldn’t be given a chance to build up, causing problems later. There are so many detox methods out there, it’s hard to know where to begin. I’m not a huge fan of extreme, short term cleanses. Especially ones that are sold in your local big box grocery store and come recommended by a celebrity. Herbs are a holistic and gentle way to cleanse your body’s systems. Even though they’re plants, they’re powerful and can do amazing things to support the body. Milk Thistle– Supports the liver and kidneys. Has traditionally been used to regenerate liver cells and protect from liver toxins, like the drug Tylenol. To use, mix 1 tbsp of crushed or powdered seeds in a smoothie or other beverage. Burdock – Supports the liver, lungs, kidneys, bladder and digestive system. Helps with acne, dermatitis, psoriasis, eczema, kidney stones, lymphatic congestion, respiratory issues and sciatica. To use, simmer 1 tsp of cut root for 15 minutes in water and drink 3-4 times daily. Echinacea – Cleanses the blood and lymphatic congestion. Excellent for infections and inflammation throughout the body, including skin conditions. 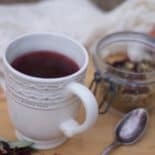 To use for lymphatic congestion simmer 1 tbsp cut root in a pint of water for 10 minutes, cool before straining and drink 1 tbsp at a time frequently. Yellow dock– Supports the lymphatic system, liver, spleen, gall bladder and acts as a blood purifier. Helps skin conditions like acne, eczema and jaundice. To use, simmer 1 tbsp in some water for 15 minutes. Drink this 3-4 times a day. Dandelion – Supports the lymphatic system, liver, kidneys and skin. Helps with acne, constipation, water retention and acts as a blood purifier. To use, simmer 1 tsp of the root in 1 cup of water and drink 3-4 times a day. Bentonite clay– This isn’t an herb, but I wanted to include it because of its unique ability to pull heavy metals from the body. 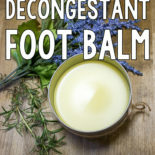 This can be taken internally mixed with water or used in a bath. These dosages are suggestion only and are based off of my research in herbalism. Please see your health care professional with any questions or concerns you may have about drug interactions or conditions you have. It’s not recommended to cleanse while pregnant or nursing. It is important to consume high quality sources of fiber during a cleanse. Otherwise, toxins will be released into your system, but not removed. Dark leafy greens and whole grains are excellent choices. I find that gluten stops me up like a cork, so I rely on grains other than wheat, like oats and quinoa. And be sure to drink plenty of fluids! Psyllium seed husks are the main ingredient in popular products like Metamucil and are good for pulling toxins from the inside of the colon. This needs to be used in conjunction with a laxative though to completely expel the material. Below are some laxatives that can be used with a bulk forming agent like psyllium seed to cleanse the colon. Strong laxatives shouldn’t be used for more than 7-10 days at the most. I personally don’t use them for longer than 2-3. Mild laxatives, like fruit, are good to include in the daily diet. Mild laxatives – Dandelion, apple fiber, marshmallow root, rosehips, fruits – especially prunes. Strong laxatives– Senna, elderberry, motherwort , poke root, turkey rhubarb. It’s important to implement permanent diet and lifestyle changes. It’s no good to binge eat ice cream every night and eat sugary cereal for breakfast, then expect a yearly cleanse to fix everything. If you’re already living a fairly healthy lifestyle, then commit to making a positive change or two this year. Replace more water in your diet with herbal teas and fermented beverages like kombucha and water kefir. Be more active. Eat more fresh veggies. What you put on your body is just as important as what you put in it. Even products that claim to be all natural, or naturally derived, often contain harmful chemicals. With the rise in popularity of natural products, chemists purposefully create products that are “greenwashed.” This is the term those in the industry use to describe a product that will contain certain “natural” ingredients prominently advertised on the front label to distract consumers from the harmful chemicals packed into the product. The Skin Deep app from Environmental Working Group can tell you the safety rating of a beauty product. However, truly natural skincare quickly gets expensive. I find it much cheaper and healthier to make my own. This whipped mint chocolate body butter feels so decadent and contains four simple, skin nourishing ingredients. I also make this bay rum aftershave and use this one minute peppermint toner. This peppermint sugar scrub is an invigorating way to exfoliate. Room sprays, scented candles, moldy air and other pollutants go into your lungs and disrupt your system with toxins. These can eventually cause serious health problems. Simple changes like using a room spray with essential oils and burning beeswax candles not only make your home smell good, but they detox the air, not make it worse. Jamie is the wife of Devon and mommy to Liam. She studied Journalism at Grace College and is currently working on a Master Herbalist certificate. She started an all-natural body care business, This & That Herbal, and is the development director for A’amarna Toothpaste. These herbal detox ingredients are best in cleansing your body. It removes harmful toxins thus making your organs healthy. It is a must to include detox drink in your every meal.